Today is truly meeting free as I work on replying to emails and getting all back in order. 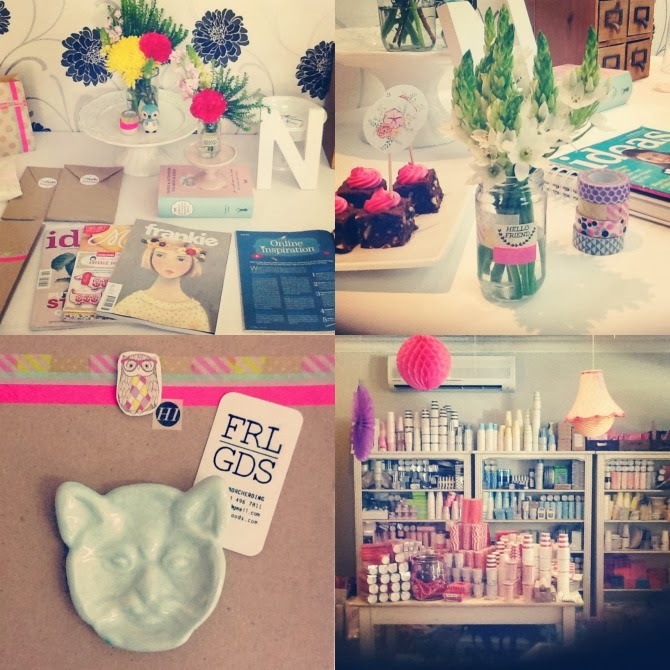 I also wanted to share a few snippets of last week's workshops with you. I am waiting for the professional photos taken by the lovely Mariaan of M.Studio. I also went to In Good Company for the first time last week, which was such a highlight. How cute is the little cat dish from Feral Goods? It was a giveaway prize. Being at home and in my office. It's lovely to be away, but good to come back to some routine and structure. Like always I am swamped with work and I only have ten days until I leave Durban for Cape Town. It's crunch time! It's Daniel and my three year wedding anniversary this week. Time flies! I also have several things to get ready for a close friend's kitchen tea. Yikes! I am trying to just deal with the most important task and then move onto the next. I have blog lessons to do this week along with one on one consulting sessions too. I need to finish working on a few blogs for clients and also tame my inbox. I look forward to getting through it all so I can leave a bit of the pressure behind. In Good Company is one of my absolute fave places to go shopping for cute things, definitely need to go there before Christmas craziness starts! Happy Anniversary Nadia and Daniel! :) Good luck with all your work this week! Looking forward to seeing you on Friday and start helping again! Happy 3 year anniversary! Surely you'll make time to celebrate in style! In Good Company really does have the cutest stuff I agree!